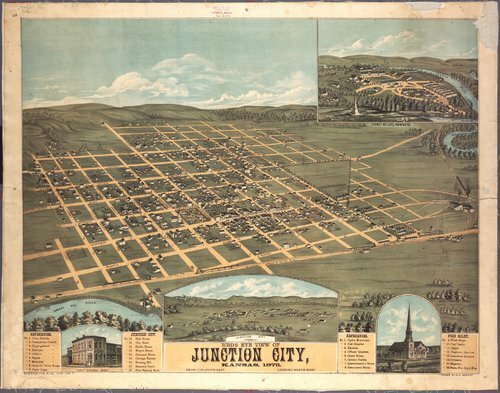 A color lithograph of Junction City, Kansas, looking northwest with insets of the town and Fort Riley, Kansas. One inset is dated 1867. The lithograph shows the location of buildings, churches, hotels, railroad and structures on Fort Riley. A legend is provided to identify some of the buildings.